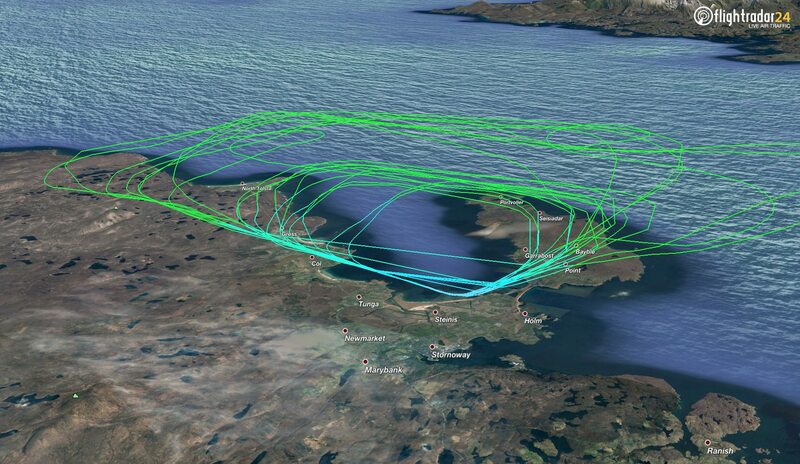 Earlier this week, an Airbus A350 made news in Scotland when it visited Stornoway Airport to conduct crosswind touch-and-go practice. But what is a crosswind and what exactly are the pilots practicing? Aircraft generally take off and land flying into the wind to take advantage of the additional flow of the air over the wings generating lift. Letting the wind do some of the work in generating airspeed allows for shorter take off and landing distances. But the wind rarely moves directly down the runway, instead crossing the runway creating a crosswind. Pilots train for crosswinds by practicing various techniques, but a very basic overview of a crosswind landing is shown the video of the A350 above. The aircraft is turned into the wind and the pilot applies rudder control to make the airplane fly sideways yet aligned with the runway. Before or at touchdown, the pilot then straightens the aircraft on the runway. Our friends at NYCAviation have an excellent explainer on the different types of crosswind landing techniques. A number of factors, such as the type of aircraft, wind direction relative to the runway heading, wind speed, runway length, and other weather conditions at the airport determine at what wind strength an aircraft can safely land in a crosswind. During design and testing aircraft are certified for a certain maximum crosswind speed, above which they will not land. Aircraft will only land if the wind is within those limits. We’re often asked why flights divert or conduct a missed approach (go around) when the weather was clear at the airport, and the answer is usually the wind. Those techniques are what the A350 in Stornoway spent two hours practicing this week before returning to Toulouse. It’s important to note that each takeoff and landing in the video below is safe, aircraft are designed for crosswind landings, and as the A350 pilots demonstrated this week, pilots are extensively trained. If you’re interested in how pilots manage a crosswind landing and employ a few of the techniques, the video below is very helpful.